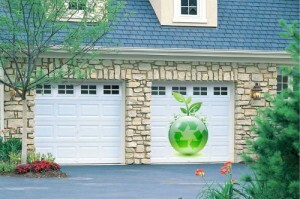 When the time comes to purchase a new garage door, you might consider going green. Today many people are concerning themselves with sustainability to the point where they consider the environmental impact of everything they do – Including the articles they purchase. If you are keen to be green, then you might want to consider buying a new garage door with the lowest possible environmental impact. If so, here are a few things to bear in mind when shopping for your new, eco-friendly garage door. The construction of your new garage door should be the first thing you consider when buying green. For example, if you want to buy a wooden door, make sure it’s made from composite, recycled wood and not from virgin timber. Steel and vinyl doors are also readily available which use only recycled materials in construction. Do you support sustainable business? If so, how? Where do the materials for your doors come from? How much energy is consumed in the manufacture of each door? How will you dispose of my old garage door? If you are shopping around and your priority is sustainability rather than price, ask these questions of all potential suppliers or installers on your shortlist and choose the one whose answers are most satisfactory. If you are buying your garage door with sustainability in mind, then you should certainly purchase one which is already insulated. Try to choose a door with the highest stated R-value. However, it’s important to note that the R-Value claimed by manufacturers only relates to the door panels. You will still need to have weather stripping installed around your new door when it’s in place to stop air leakage into and out of your garage. Buying a well-insulated garage door and installing weather stripping will win half the battle against heat loss from your garage and therefore from your home (or cool air loss if you are in a warm climate and use air conditioning). To get the maximum benefit from a green garage door purchase you should also have the walls and ceiling of your garage insulated. Finally, to have the least possible impact on the environment, you should make sure you buy a garage door which will stand the test of time. The more durable your door, the less materials will need to be used for upkeep and repair. You should buy a door with a protective finish, or be prepared to apply a finish yourself. This will actually extend the life of your door by further improving durability. If you shop for your new garage door with these points in mind, you can rest with a clear conscience, knowing that you have done the environment one more small favor. 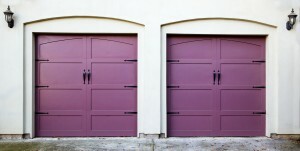 Furthermore, you should end up with a new garage door which will protect your car and your home for many years to come. Today’s conscientious homeowners are constantly searching for ways to make their homes more eco-friendly and cost-efficient. Although there are many beneficial changes you can make within the interior of your home that will save money and energy, there are also several cost-effective things you can do to make your garage more environmentally friendly. 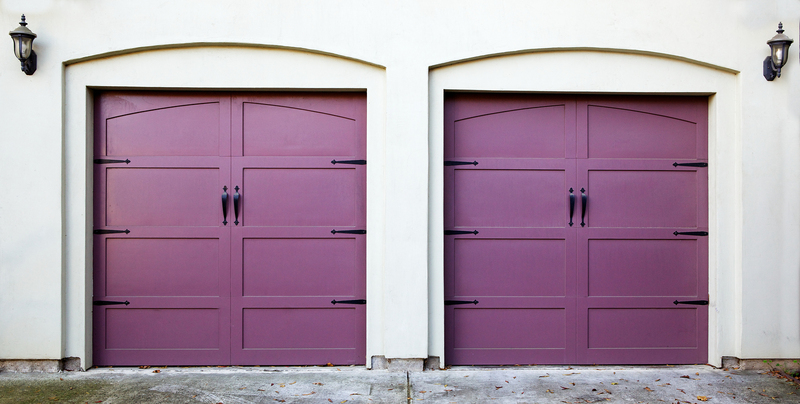 Garage doors made of composite steel or wood are more durable, they hold up well under severe weather conditions, and they come in an extensive selection of different sizes and styles. Due to the extensive range of design options, composite doors are available in both low and high price ranges if you are trying to stay within a pre-set budget. It is also better for the environment, since the doors are made with recycled materials. Adding a layer of insulation on the inside of your garage door is an inexpensive upgrade that will save you significant money in the long run. Insulated doors are more durable, quieter, and they will help keep your home warmer in the winter and cooler in the summer. If you live in a warmer climate like Roseville, CA, you can try a perforated garage door to allow more light and ventilation without affecting privacy or security. If you have cracks or tears in the weather stripping along the bottom of your garage door, they should be replaced as soon as possible. All the air in your garage will penetrate towards the tiny openings and counteract the insulation. Perfect Solutions Garage Doors will be happy to give you a free quote on replacing your weather stripping if it is currently not energy-efficient. You should insulate your garage walls if you have heating and cooling vents going into the garage. Installing insulation and drywall will add a protective layer that will significantly reduce your heating and cooling expenses. 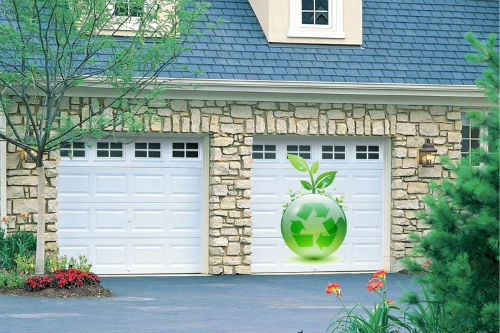 If you are buying a new garage door and you want to be eco-friendly and cost-effective, start your search looking at doors made from recycled materials. You should also invest a little money to add insulation to your garage door and walls. It will reduce your energy consumption, as well as your heating and cooling bills. If you have any questions on the most eco-friendly and cost-effective options, please contact Perfect Solutions Garage Doors for a free estimate on insulated composite garage doors.